Rediff.com » Movies » Meet the Latecomers of Bollywood! Meet the Latecomers of Bollywood! It's never too late to start your career in Bollywood. Age is no bar for actor. Some like Rishi Kapoor, Padmini Kolhapure and Alia Bhatt began their career in Bollywood so early, they practically grew up in front of us. There are some who join the film industry after they’ve hit the 40s and still make a name for themselves. Here’s a look at some of the most successful latecomers in Hindi films. 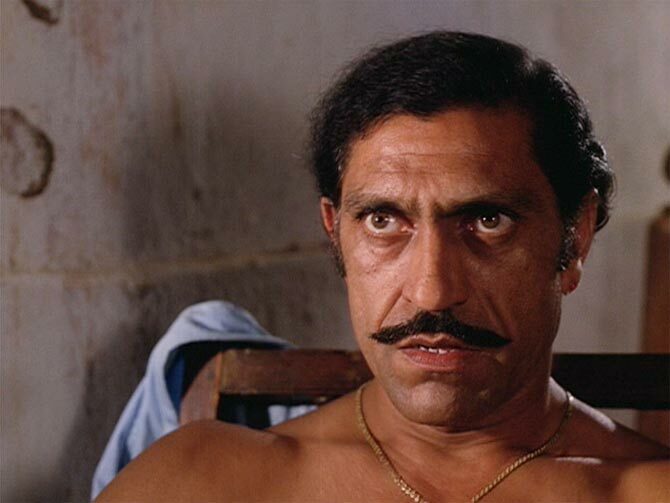 Known to intimidate with his booming baritone and punishing gaze, Amrish Puri’s on screen villainy is unprecedented. Hoping to follow his older sibling Madan Puri’s profession, he auditioned for leading men parts and miserably failed. The Mogambo star took up a job at Employer’s State Insurance Corporation while pursuing his love for the arts on stage. Eventually, he got noticed by Bollywood and landed bit parts in Dev Anand’s Prem Pujari and Sunil Dutt’s Reshma Aur Shera. 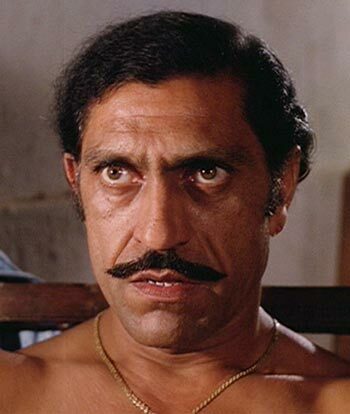 But it would take Shyam Benegal fare (Nishaant, Bhumika), classic villain parts in potboilers like Naseeb and Shakti and the iconic Mola Ram in Steven Spielberg’s Indiana Jones and the Temple of Doom for the now 40-something Amrish Puri to ascertain he’s truly arrived. Boman Irani’s success story is as fascinating as it gets. Hungry to do something creative while looking after his family-run wafers store in South Mumbai, Boman Irani took up photography. What began as a hobby soon turned into a profession as he realised his potential as a sports photographer. Even then his creativity wasn’t truly satiated. Irani joined the theatre and acted in plays like Mahatma vs Gandhi, I'm Not Bajirao, and Jesus Christ Superstar. The beginning of a new millennium marked a new career as well -- acting. At 42, Irani found his true calling in movies, when received offers for indies like Let’s Talk, Everybody Says I’m Fine making way for breakthroughs like Munnabhai MBBS and Main Hoon Naa. 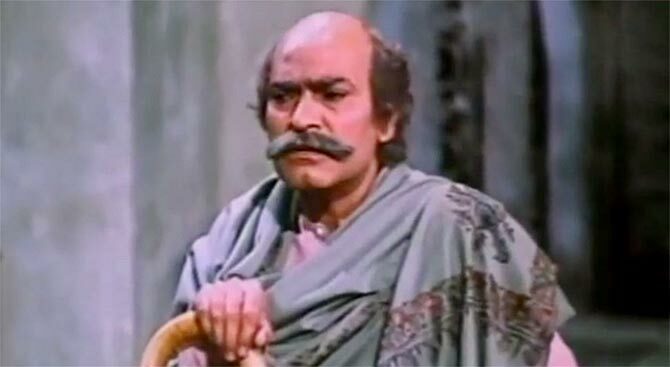 One of Hindi cinema’s best-known character actors, the Peshawar-born A K Hangal actively contributed to India’s freedom struggle while making his living as a tailor. Post-Partition, he moved to Mumbai and did amateur theatre at Indian People's Theatre Association (IPTA). Despite his success on stage, Hangal was wary of signing movies because of his age and starting from scratch. At the age of 53, he made enough impression as Saira Banu's quirky father in the I S Johar rom-com Shagird to get the ball rolling in a direction that would lead up to a lasting career and Padma Bhushan. Read about AK Hangal here! Active on the Gujarati theatre scene, it was only a matter of time before Dina Pathak would graduate to big screen. Only the powerhouse settled for a one-off assignment in her Gujarati film debut, Kariyawar. Preferring to concentrate in theatre, she’d make a real impact on celluloid four decades later with Basu Bhattacharya’s directorial debut Uski Kahani. 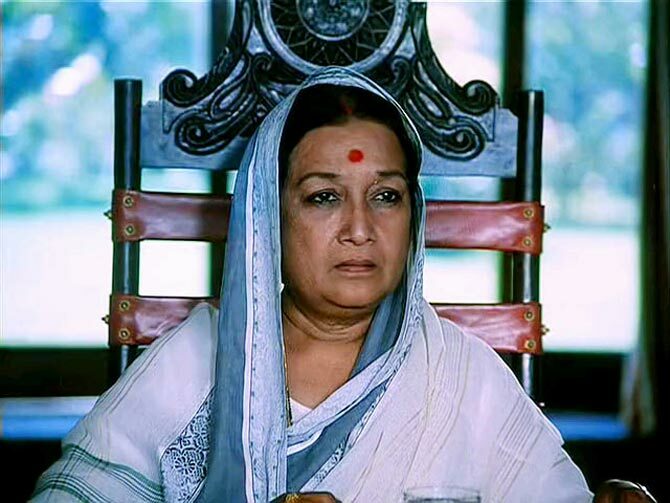 After that, there was no looking back for Bollywood’s beloved matriarch, in her mid-40s, as she doled out one weighty performance after another -- most memorably Golmaal. Poetry, plays, songs (Remember the upbeat Rail Gadi track from Aashirwad? 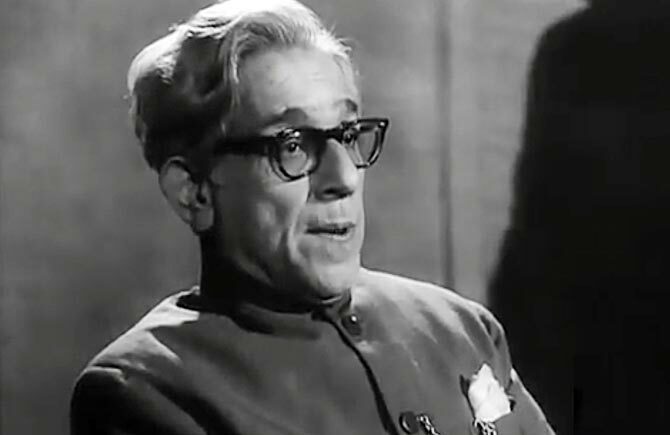 ), politics, theatre, Harindranath Chattopadhyay was a man of many talents and an inimitable sense of humour. Occasionally, the Padma Bhushan recipient acted too. It was the most incidental of all his roles in a versatile career. Yet the one he’s most remembered by. 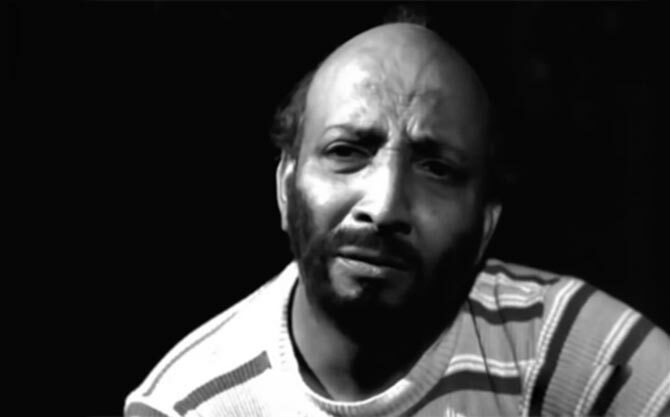 Quite extraordinary too given he was 65 when he appeared as Nutan’s pig-headed dad in Tere Ghar Ke Saamne and the batty Ghari Babu of Sahib Biwi Aur Ghulam, almost a decade before his entertaining turn as the old man with a secret treasure chest in Hrishikesh Mukerjee’s Bawaarchi. There are abundant examples of actors turning politicians. Beena Kak accomplished the reverse to a reasonably good effect. A family friend of Salman Khan’s, the latter persuaded the erstwhile tourism minister to play his feisty mother in David Dhawan’s Maine Pyaar Kyun Kiya? At 51, Kak sure grabbed attention for her slapping ways in the silly comedy followed by offers in the form of Nanhe Jaisalmer and God Tussi Great Ho. David’s name always evokes the imagery of warm, wise man and a proud fixture in most Hrishikesh Mukerji creations. He turned to films following his failure to procure a job despite a graduation degree. But it only led to more struggle and inconsequential work, prompting him to study law instead. David tried his luck in films again. At 45, he was unanimously hailed for his work in the Raj Kapoor produced Boot Polish. It also won him a Best Supporting Actor trophy from Filmfare. 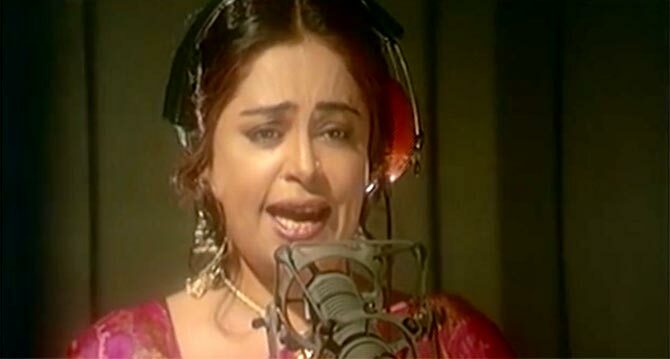 Although she made an insignificant debut in the 1980s with a Punjabi film Aasra Pyar Da alongside a fleeting role in Vijaya Mehta’s Pestonjee, the name Kirron Kher was still unheard of outside the theatre circles. It was only in 1996, at the age of 41, Kher’s presence would fully register with a sterling delivery as the elder version of Shyam Benegal’s Sardari Begum. Too bad, it’s her over-the-top, shrieking Punjabi mommy roles in Om Shanti Om and Dostana that connected over a wider audience.